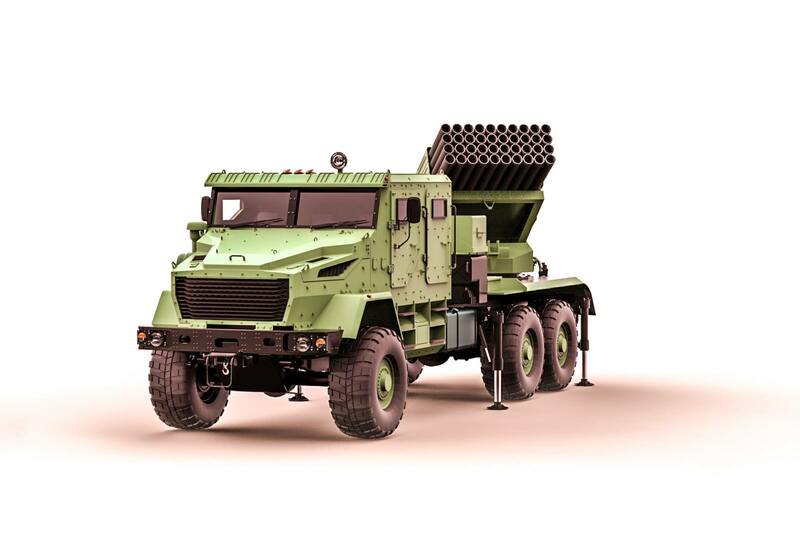 Ukraine’s military designer Denis Silich has released concept plans for a heavy multiple launch rocket system (MLRS), based on on the 6×6 KrAZ-6322 chassis. The concept designs feature a locally designed armoured cab for 5 people and weapon mounted four hydraulically operated outriggers. Fire control, aiming and even recharge is performed automatically from the cabin, without soldiers’ direct intervention. The rocket launcher is designed to defeat personnel, armored targets, artillery batteries, command posts and fortifications. The the new MLRS is capable of control fire without the preliminary preparation of a position and exposed crew action thus minimizing the salvo time and also maximizing unit protection. 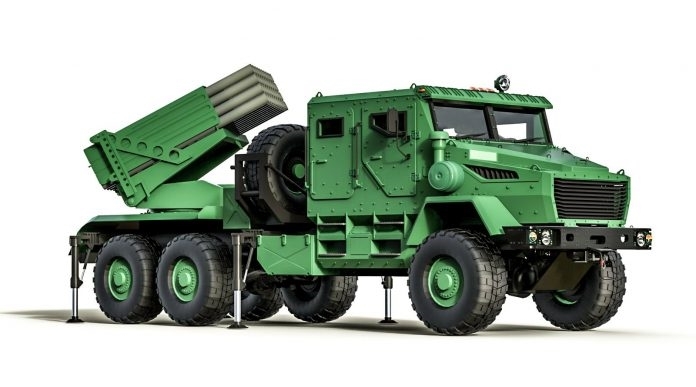 The concept of new Ukrainian heavy MLRS designed as a private initiative.